Most major trades involve some level of pain. A good deal rarely comes without a downside, without something each team will sorely miss. 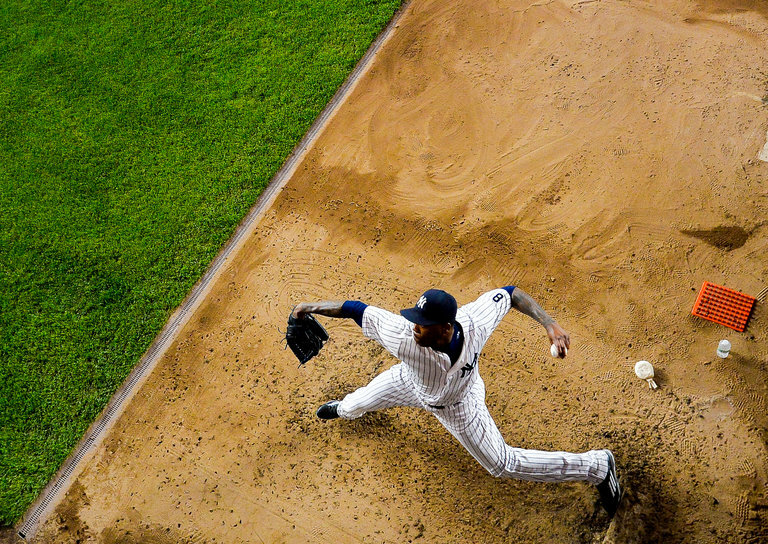 The Yankees traded Aroldis Chapman to the Chicago Cubs on Monday, and to be sure, they will miss the surge of excitement that rippled through their ballpark when Chapman threw fastballs. Chapman challenged the human body’s limits, pushing the boundaries of the possible. As an athlete unlike any other, he was, in some ways, the essence of why we watch sports. The N.H.L. Needed 100 Portraits. So Tony Harris Got to Work.